Mr. Millar is rated AV(r) Preeminent (TM) 5.0 out of 5 by Martindale-Hubbell, and named a Southern California Super Lawyer every year since 2006 (Los Angeles Magazine/Law & Politics Magazine). Based in Los Angeles, where he has practiced for since 1974, Mr. Millar has represented clients in diverse businesses in domestic and complex cross-border transactions. He is skilled at international tax planning and international tax controversy and compliance matters for entrepreneurial companies, high net worth and dual national individuals. His experience includes helping clients: (a) structure the sale of a partnership interest in an international cellular phone company,(b) structuring international internet game companies, (c) restructure failed asset protection plans, (d) foreign bank and financial account compliance problems,(e) voluntary disclosures and (f) other financial asset problems. He has a sub-specialty in taxation of eCommerce including Internet taxation and online gaming taxation. 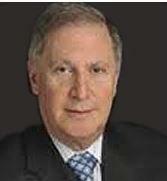 He is frequently consulted as an expert on business and taxation law matters.